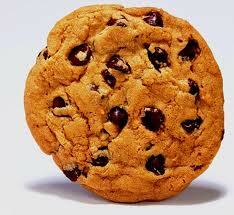 EU cookie law: UK government crumbles? With just over a month until the Privacy and Electronic Communications (EC Directive) (Amendment) Regulations 2011 is enforced, it was high time that an organisation with the weight to set a precedent got off the fence and took a serious position on the matter. Who better than the UK’s Government Digital Service? I’m not sure I expected the UK government to be the one to lead the charge on cookie law compliance, and I’m certain I didn’t expect them to be the ones to argue that web analytics are “essential”, but that’s exactly what they’ve done with their snappily titled Implementer Guide to Privacy & Electronic Communications Regulations (PECRs) for public sector websites. So does it stand up to scrutiny? And more pressingly, does it get the rest of us out of a potentially difficult situation?